Herbs are one of my favorite things to grow. They don’t take up much space, have both medicinal and culinary uses. And they are really beautiful in the garden, or in a vase on the kitchen table. Mindy from Our Inspired Roots is sharing with us a few easy herbs to grow. 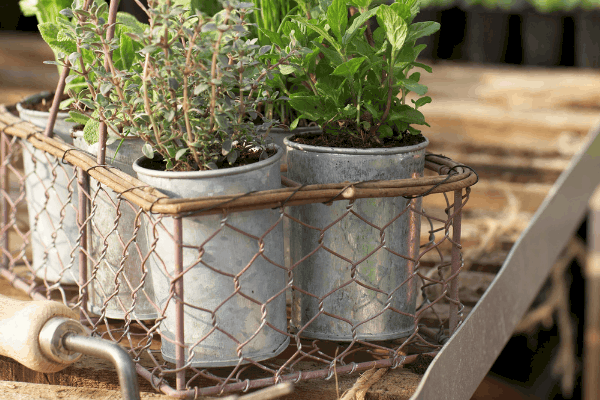 Check out her favorite uses and benefits of adding these herbs to your home garden. Additionally, if you choose the right herbs, you can have an abundant garden with minimal effort. I always include easy herbs to grow in my garden so that even in the worst growing season, I’ll still have something amazing to reap. 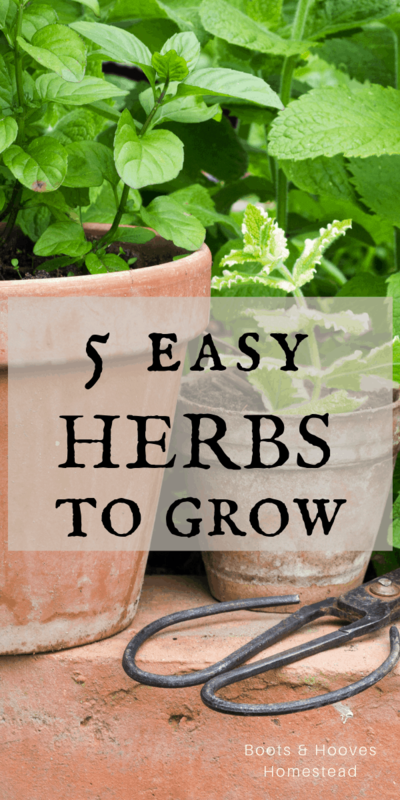 What Makes an Herb Easy to Grow? Some herbs can be difficult to grow because they are particular when it comes to their growing conditions. For example, some plants are very sensitive to the pH of the soil. Others can’t survive with too much or too little water. Once you have these easy to grow herbs down, you can expand your garden as your knowledge grows. 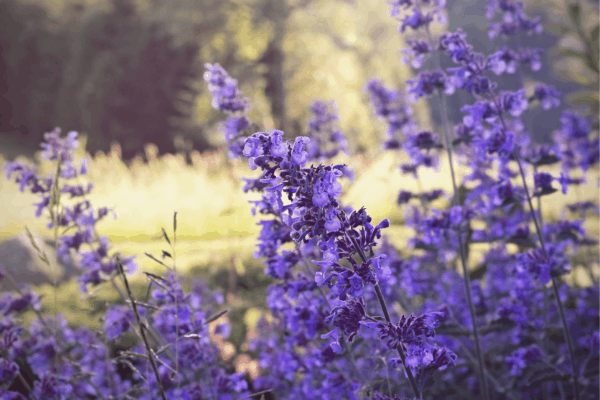 These 12 best healing herbs for the homestead are some of my favorites and I like to include them in my garden every year. These five herbs will provide you with fresh flavor, abundant nutrients, and amazing healing properties. Learning to grow and use these plants is a great place to get started in the world of culinary and medicinal herbs. Cooking with fresh basil is one of my favorite ways to celebrate summer! Abundant in vitamins and nutrients. As you can see, even though basil is considered a culinary herb, it has some powerful health benefits too. That’s just one reason why growing basil at home is such a rewarding experience. Basil is pretty laid back and easy to grow from seed. Start basil in seed trays indoors 6-8 weeks before the last frost in your area. Or you can direct sow in the garden when the ground has warmed to about 50 degrees. Give basil a sunny spot and water every two to three days (more often in dry spells). Harvest frequently from the top of the plant to encourage bushing out. Pinch off the flower buds to increase leaf growth and flavor. Add fresh basil to tomato sauces, soups, and even as a pizza garnish. Add it towards the end of the cooking process as heat will damage the herb and its flavor. Infuse basil in olive oil – use as a dipping oil for bread or cook with it. Mix chopped basil in room temperature butter and refreeze – spread on homemade bread or melt over pasta noodles. There are so many ways to cook with basil. 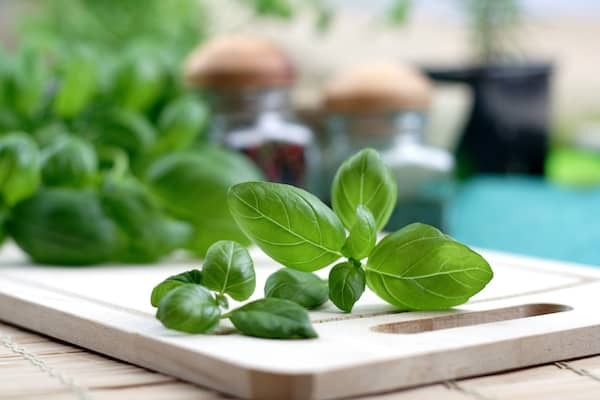 Regularly adding fresh basil to meals is a great way to boost the nutritional profile of your meals. Sage is both a culinary and medicinal herb with many health benefits. Herbalists recommend sage for aiding in easing mouth sores and soothing dry, scratchy throats. Growing and preserving sage at home gives you access to this herb’s therapeutic potential all year long. In moderate climates, sage bushes can stay green most of the winter and may come back larger each spring. Sage loves the sun and very little watering. 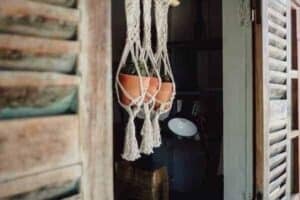 Give it a well-draining spot in the garden so it doesn’t sit in water. Sage grows easily from cuttings. Older sage bushes will reach up to 20 inches tall. So be sure to give them room to expand. 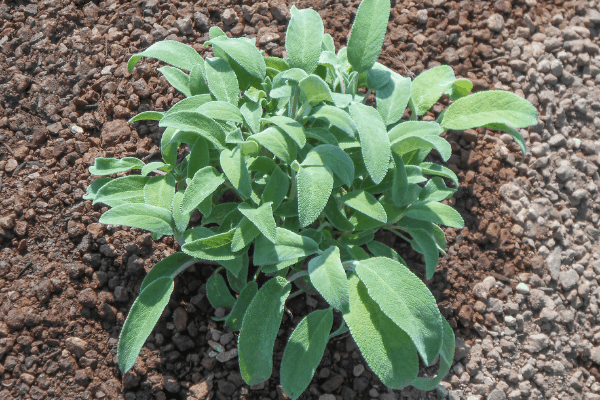 Harvest sage leaves often to encourage abundant plant growth. Sage has many uses as food and medicine. Unlike basil, sage leaves maintain their flavor when dried. Dry leaves on a drying screen or in a food dehydrator. Sage is excellent in stews and meatier dishes – as it promotes healthy digestion. Make a strong sage tea and rinse your mouth twice daily to help relieve mouth sores. Drink sage tea with honey throughout the day when you have a sore throat. I like to grow sage for all of the reasons above, but I also make a spot for it in the garden because my kids love how the leaves feel! Peppermint is one of my favorites simply because it smells amazing. Peppermint has been used for everything from headaches to stomach aches to natural pest control and more! Drinking peppermint tea is both stimulating and relaxing. It really does the trick when I need help focusing on a project. Peppermint is almost too easy to grow! It will quickly take over any garden space if given the freedom to roam. That is why many gardeners suggest planting it in pots. 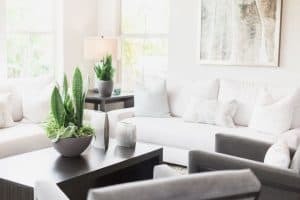 Buy peppermint plants from a nursery to plant at home. You can also take cuttings and root them with great success. Peppermint prefers shade but will do fine in full sun, too. 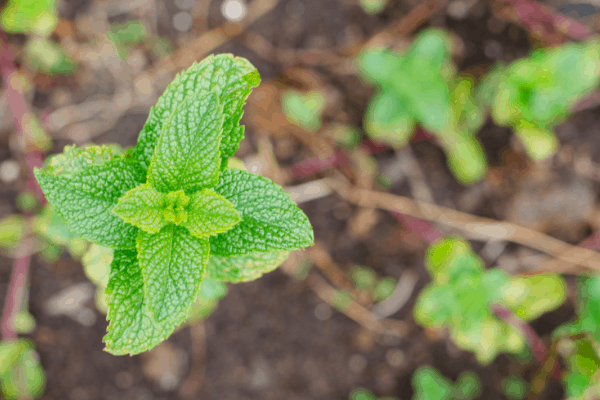 As it becomes established, peppermint will grow thick and shade itself. Watering every other day is enough to keep mint happy in the garden. Pinch off the flower buds, to encourage more leaf growth. What I love most about peppermint is its versatile uses around the homestead. Add fresh peppermint to water, iced tea, or lemonade for a naturally cooling effect. Drink peppermint tea after a heavy meal to encourage healthy digestion. Infuse peppermint leaves in a carrier oil for salves, lotions, and soaps. Drink peppermint tea to relieve tension headaches. Peppermint is a popular herb to grow at home. Learning to use it for food and medicine is a wonderful place to start if you are new to medicinal plants. Catnip is another medicinal herb that easily grows in the backyard garden. It is great to have on hand for its calming effect on the nervous system, among other benefits. Catnip tea is one of my favorite ‘night time’ teas. After extra busy days, I’m grateful to have catnip available to ease me into a good night’s sleep. Catnip is easy to grow because it can find happiness wherever it is planted. Sun or shade, and nearly all soil types, catnip manages to fair quite well. Catnip is easy to grow from seed, cutting, or root division. Catnip likes to be watered. Check on it every other day to prevent wilt – especially in dry spells. Catnip has many uses around the homestead. A warm cup of catnip tea is perfect for calming my nerves when life gets hectic. Drink a cup of catnip tea to relieve menstrual cramps and stomach pain. Use catnip tea as a hair rinse to treat dandruff. Infuse catnip in coconut oil to create a soothing salve for bug bites. Growing catnip will give you plenty of opportunities to experiment in the kitchen with its many uses. You will want to grow it year after year because it is so useful! Chamomile is one of my favorite herbs to grow! 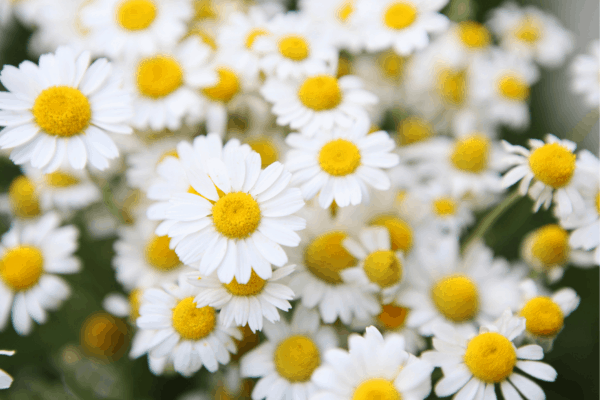 Chamomile produces cute little daisy-like flowers that have a sweet, apple scent. The flowers are dried to make calming teas and tincture for a variety of ailments. All gardeners should be growing chamomile in their gardens. Planting, harvesting, and using chamomile in a variety of ways on the homestead is such a joy! Chamomile can be challenging to grow from seed. But once the plants are established, they become quite resilient. I prefer to buy young chamomile plants rather than start from seed. I tried growing from seed once and failed miserably. If you get small plants though, chamomile is so easy to care for. Chamomile loves the sunshine, but it will be happy in partial shade too. It isn’t picky about the type of soil its grown in. Give chamomile a good soaking and then let the soil dry out for a few days before watering again. Chamomile will always have a place in my home. I love finding new ways to use it! Drink chamomile tea to prepare for a good night’s sleep. Infuse chamomile in a carrier oil and use the oil to make lotions and soaps. Make chamomile tincture to relieve digestive problems. Use chamomile tea as a hair rinse to naturally lighten blonde hair. Chamomile has it all! It’s a beautiful herb to look at, easy to grow, and has many uses. If you’re looking to add just one herb to your garden, I highly recommend starting with chamomile! If you’re just starting out, choose one or two herbs to begin learning about and build from there. It’s so much fun learning about new plants and reaping the rewards of healthy food and medicine.